Property: Hilliker Corporation as the listing agent. June, 2011 – Property sold to S.M.Holdings. January, 2013 – Property sold to 3D Architecture. 3D Architecture, buy out the other partner. January, 2014 – Property put on market by Bell Tower Holdings, the business name of 3D Architecture. LK Wood is the listing agent. Proposal: Lindenwood Park Neighborhood Association Board in August, 2014 with a proposal to use the Property and buildings at 3456 Jamieson for a development which would include refurbishing the church and adding an additional level to the church for 22 market rate single bedroom apartments. The church rectory and garage would be removed and a surface parking lot installed in order to provide off street parking for apartment residents. City Process: The church is located in an area zoned Single Family Residential. This means that any development which is not Single Family Residential requires a Conditional Use Permit. The Neighborhood Association and neighborhood residents can impose conditions on the use of the property. The Zoning does not change. It remains Single Family Residential with specific conditions for use. If the conditions are not followed, the development could ultimately be shut down. The developer must file a Conditional Use application with the City of St. Louis Zoning Commission. The Zoning Commission makes the final decision whether to grant a Conditional Use Permit weighing the information presented by the developer, the Alderman, the Neighborhood Association and neighborhood residents. In addition the developer has a good track record as a responsive landlord, a quality developer and will use no tax increment financing on the project. A LPNA Board member toured apartments at another property developed by Advantes on the corner of Columbia and Hampton and found them to be attractive and well done. Fliers delivered to every house on Marquette and Hancock between Jamieson and Prather. Fliers delivered to the first 5 houses on both sides of Marquette and Hancock on the west of Jamieson. 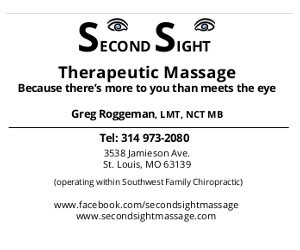 -An announcement was posted on the Lindenwood Park Neighborhood Association web page. -An announcement was posted on the Lindenwood Park Facebook Group. -A Blast email was sent to everyone on Alderman Vaccaro’s email distribution list. -Residents who attended the Town Hall Meeting were given the opportunity to sign a sheet of paper indicating whether they were For or Against the proposed development. -Of the 100 people who signed the Pro and Con sheets, 55 were Against the development and 45 were For it. Concerns lack of privacy, additional noise and potential loss of street parking spaces. Fifteen units was seen as too many units for the size of the building and the need for off street parking. Neighborhood in general given problems at some multi-family units in the neighborhood with poor maintenance and problematic tenant behavior. rental units. Neighbors questioned why LK Wood, the listing agent for the property, is not showing the property to other interested parties. Response: Advantes Development has a contingency contract on the property. LK Wood will not show the property to other interested parties until a decision is made regarding the Advantes Development contingency contract. In the meantime, LK Wood is taking the names and contact information of other parties who have expressed interest in the property. Zoning Commission Hearing will be scheduled and communicated to the Alderman, Neighborhood Association Board and neighborhood residents. At the Hearing, the developer will present his plans. 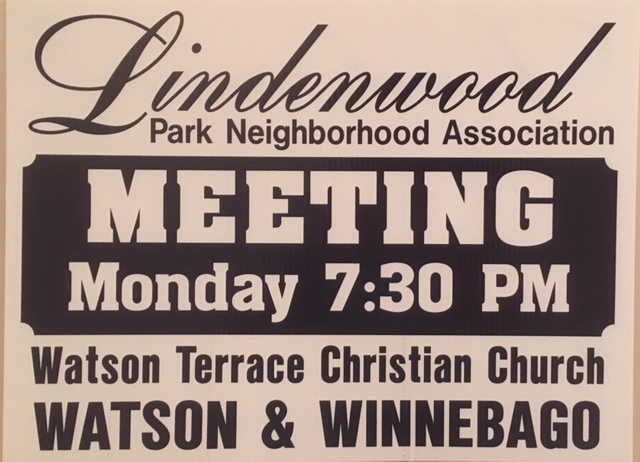 The Alderman, Lindenwood Park Neighborhood Association Board and neighborhood residents will have an opportunity to present their conditions for approval of the Conditional Use or voice their opposition and explain why. The Zoning Commission will make the final decision whether a Conditional Use Permit will be granted and under what conditions. Financial backer for 3D Architecture will foreclose on 3D Architecture and board up church. Mr. Mink may or may not rent out the house located on the property.